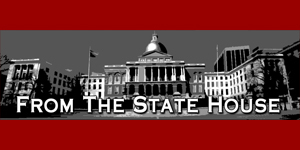 Healey’s decision to re-interpret the state’s 1998 gun law as it applies to the sale and possession of certain firearms has prompted some very stiff resistance and backlash. Although these firearms have been sold for years in Massachusetts, with no prior prosecutorial action taken by Healey or her predecessors, the Attorney General now says they are illegal under a new two-test process developed by her office that considers them to be modified “copies” or “duplicates” of firearms that are currently banned under the statute. This unilateral action, without legislative or public consultation, amounts to a serious breach of the public trust and an abuse of her power. It is imperative that the citizens have input when changing long established rules and an oversight hearing on the recent enforcement notice issued by the Attorney General would allow citizens to have their say. This action occurred without legislative consultation, public comment, or prior notice. In my opinion that is a completely unacceptable abuse of her power to interpret laws enacted by the legislature. This issue is not one of public safety because these laws were enacted nearly two decades ago and have been in place since then. The fact that this interpretation caught citizens, the legislature, and gun manufacturer’s off-guard is of great concern and needs to be addressed as soon as possible. I had previously joined my colleagues on another letter written to the Attorney General on July 23, asking her to reconsider her position and rescind her enforcement notice. Eighteen Democrats also signed on to that letter. In addition, several of my colleagues have also filed legislation seeking to remove the Attorney General’s authority to issue rules and regulations of firearms sales in Massachusetts under the state’s consumer protection statute, and I am proud to say that I am a co-sponsor of these bills. I can only hope that the Attorney General will see the error of her ways and restore the same enforcement rules that have been in place for almost two decades and uphold the constitutional rights of law-abiding citizens. Thank you for allowing me to proudly serve as your full-time Representative. Please visit my office to discuss any concerns. I’m always available!